Anyone who knows me knows I’m not a writer. And while we’re being honest here, I don’t know too much about blogging either. Did I lose you yet? 🙂 What I do know is that I’ve been itching to try something new, especially something related to my latest weight loss journey. So here we are, a shiny new scale and a shiny new blog! Since this is the first time we’re meeting, let me share a little about myself! My name is Alyssa, I’m 23 years old and am a recent college graduate. Oh and one more thing– I’m what the medical world labels as morbidly obese. Scary, huh? I’d like to say I wasn’t always this way, but the truth is I’ve been overweight my whole life. I’ve gained and lost, gained and lost, gained and lost so many times I honestly can’t remember them all! I’ve weighed 265lbs and I’ve weighed 120lbs, been through healthy diet plans and some questionable ones, but never once have I kept the weight off and “maintained.” I am SO determined to make this time different. And I believe with your help, I can. But it’s not just you guys holding me accountable, no way. I’ve gone back on Weight Watchers, a plan that was once successful for me before and hopefully will be again. 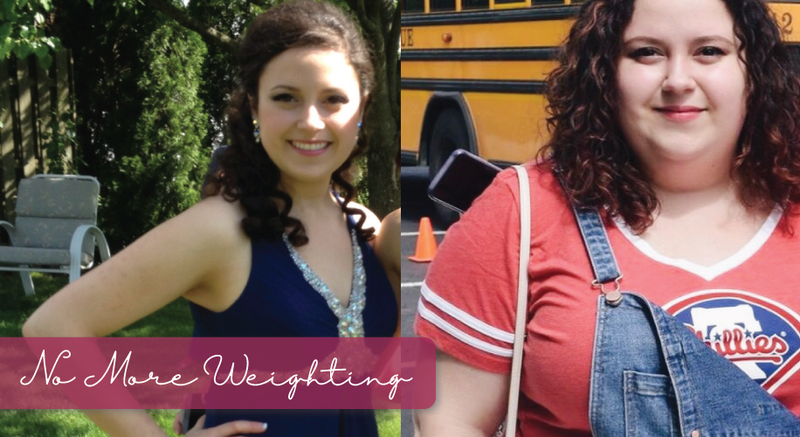 Weight Watchers’ PointsPlus plan helped me achieve my first dramatic weight loss of 65lbs when I was 18 years old and was also the reason I was able to weigh 120lbs at one point in my life. The secret is out! But again like many people (of course not all), as soon as I went off of the plan, those numbers on the scale slowly started creeping up. Through SmartPoint tracking, weekly weigh-ins, and finally joining a community here, I hope this most recent weight loss journey will be my last. I’m SO excited to begin sharing my stories, fitness tricks, WW recipes ( etc, etc…) with you all! Additionally, I will be actively posting on Instagram, so be sure to give me a follow there! Most importantly, I can’t wait to read all of your stories and learn from you! I believe with each other’s help we can all reach our goals. Thanks for reading & goodnight! Hi Alyssa, so lovely to meet you. Thank you so much for liking, commenting and following me on instagram and on my blog, I really appreciate it. you have just joined a very supportive, wonderful community. We’re here for you! Hey Alyssa, I don’t know if you remember me, we met in freshman year of college. But, you’ve inspired me. I’ve had a lot of trouble sticking to a healthy lifestyle and I will definitely be keeping up with your posts to help me keep motivated. I feel the same way, I’ve been at my lowest 125 and my highest was 199. I am so determined to try and change my lifestyle because I’m tired of letting it hold me back as I’ve noticed it has in almost every aspect of my life. Looking forward to following your journey as I’m working on my own. Normally when I trip or fall I break something, however today, I am glad I stumbled onto your page. (sorry for the cheesiness, but that’s who I am ) Its a pleasure to be here Alyssa! Love the cheesiness! 🙂 So glad to have you here!